This Hike is led by GWH Ambassador Jenny Kotlyar. There will be a 2nd hike ( https://www.facebook.com/events/2201564093242583/) to a river via Gorge Trail following this hike, attending both is not required. Hello ladies! I’m Caroline and I’m an ambassador for GWH Central Coast. I will be hosting this hike to Danielson Monument Trail, a 6.4 mile out and back trail located near Newbury Park. Danielson Monument is a stone monument honoring Richard Danielson who donated the ranch to the National Park Service for preservation as an open space. This hike takes you from the Rancho Sierra Vista/Satwiwa Recreation Area into the Boney Mountain Wilderness (Point Mugu State Park). During this time of year, there is a superbloom of wildflowers along the trail. We could also take a little detour and trek up to the waterfall. What to bring: Water: Bring your own water as it can be very hot and sunny on the trail. Snack: We will be taking a snack break. Ten essential: As always, it is a good idea to bring the 10 hiking essentials. This Hike is led by GWHLA Ambassador Anjelica A! This is a TURTLE 🐢 pace hike. This will possibly be a long day because we will be checking out HEART ROCK after Ryan Mountain! If you have time restrictions, this may not be the hike for you this time. AllTrails Trail Link: Check out this trail on AllTrails. This hike is hosted by GWHLA Ambassador Kristina Shannon. This is a beautiful in-and-out trail with most of the elevation gain in the first couple of miles. We will take East Canyon (only) to the top and cross to Mission Point Peak (O'Melveny Park). Stunning views of SCV and SFV on clear days. Moderate shade so bring sunscreen as needed. We will meet at the trail head by the metal gate, adjacent to the farm/stables on the dirt road (leading off The Old Rd.) There is plenty of free parking along The Old Road, however there is a parking lot specific for this trail (off the dirt road) for which you need to pay $5. I encourage you to park on The Old Rd as everybody does. Hello ladies! I’m Caroline and I’m an ambassador for GWH Central Coast. I will be hosting this hike to the Ray Miller Trail in Point Mugu. This 5.4-mile out-and-back hike features a gradual incline trail to the top of the trail and has a wonderful view of the Pacific Ocean. Hopefully, during our springtime hike, there will be a poppy bloom on the mountainside. This is a ladies-only hike. All women are welcome. No one will get left behind. Any updates will be posted on the event thread. I will update the event description if anything changes. Trail Rating: Yellow Moderate hike, well-signed, elevation gain of between 1,000-2,000ft., low altitude. Novice hikers welcome! 3L of water required. Permits / Passes: California Parks Pass needed to park inside park area or $12 parking fee. Free parking along Pacific Coast Highway. 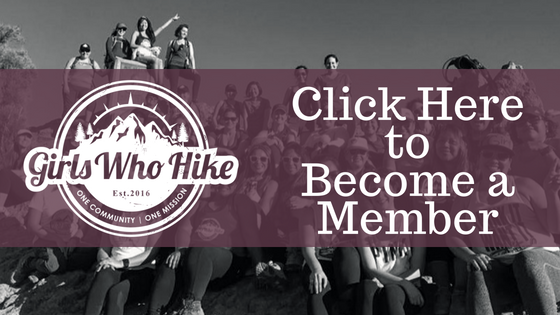 Hello, this hike is led by GWHLA Ambassador Kristina Shannon. Trail Rating: RED: Strenuous hike ,possible unmarked trail, elevation gain of 2,500+, altitude up to 9,500ft. Experienced hikers welcome, semi-experienced welcome if they plan on training beforehand! 4L of water required. This is a beautiful hike with amazing views but long (12+ miles) with steady uphill incline and only partial shade. We will meet at the entrance to the trail (Cobb Estate) off the street (Corner of Lake Ave and E. Loma Alta Dr) - you can park along the streets, it is free. Will hike up to Echo Mountain via Sam Merrill Trail, continue to Inspiration Point via Sam Merrill Trail, return back via Castle Canyon Trail to Echo and back to parking lot. This is over 12 miles roundtrip with constant incline and not recommended to novice hikers. There is no additional water source on the trail so bring plenty of water (4L) and snacks.